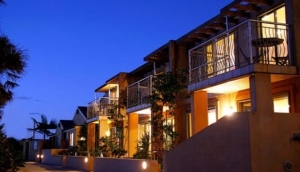 Self catering Apartments & Villas in Auckland are on the increase. With more people wanting to do their own thing, flexibility is key. Auckland Apartments & Villas are modern, spacious, and can suit the single traveller or whole families. Apartments & Villas in Auckland are there to suit all needs. Lone travellers will find a plethora of modern, serviced apartments in the CBD, especially around Queen Street and Viaduct Harbour. These are ideal for people who just want somewhere to crash at the end of each day, and most will have full kitchens and bathrooms, as well as good city views. Further out, space is at less of a premium, so expect larger floor space - great for families. Parnell is very popular base for visitors, because of the vibrant food and entertainment scene, as is Ponsonby. However, it's Waiheke Island that's the ultimate get-away-from-it-all Auckland destination. The further south you go (Mangere, Manakau), the cheaper it is. But if you want space, views and convenience, without the city price tag, head to Devonport and North Shore, where you can pick up some very good value self-catering apartments, all just a short drive/ferry ride from downtown.